Imagitech's online training delivery system, currently in use for "DTS Anytime", contains an extensive administration facility. The administration features are designed to make the management of trainee registration, allocation to available learning material, activity monitoring and reporting an efficient process. Furthermore, the system is integrated into an e-commerce environment allowing the sale and resale of courses to independent learners. All aspects are catered for – including direct sale of access licences online, referred sales via third party websites, voucher issue to resellers and third parties, as well as management of resale commission. A secure API is available to allow for the integration with third parties' systems. Learning content is managed by Imagitech who update the material as required. 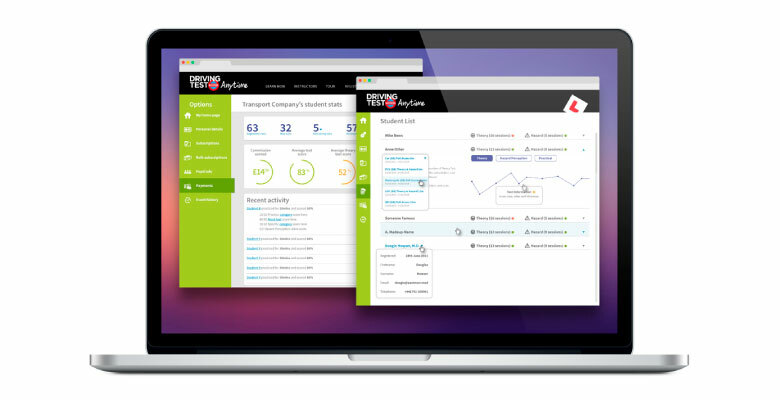 Currently this system is in use for learner drivers of all classes in the UK as DTS Anytime. Hundreds of training organisations benefit from the administration and reporting facilities, including the largest in the UK. Due to the generic nature of the functionality it can be applied to any other subject area. Contact us now to find out how we can adapt the system to your needs. Copyright ©2018- Imagitech Ltd. All rights reserved.